‘Postable' is one of the lowest priced services on the market and has the added benefit of ensuring an almost guaranteed first time delivery rate as the recipient does not need to be home. Part of Hermes' ongoing commitment to providing innovative products that benefit both businesses and consumers, ‘Postable' is available for business account customers who have a dedicated regular collection, send more than 150 items a week, and is fully trackable. Prices start from £1.80 excluding VAT. Items will need to be no more than 23cm wide, 35cm long and 3cm deep, but at least 1 cm deep. 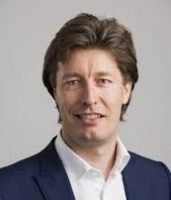 Commenting on the launch Martijn de Lange, CEO at Hermes UK, said: "This latest product launch further expands our UK offering to enable more customers to access a premium service that doesn't cost the earth. Postable is a big step forward for Hermes as we become the consumer's carrier of choice and we're pleased that our business customers can now also benefit from this diversity in parcel size and low pricing."